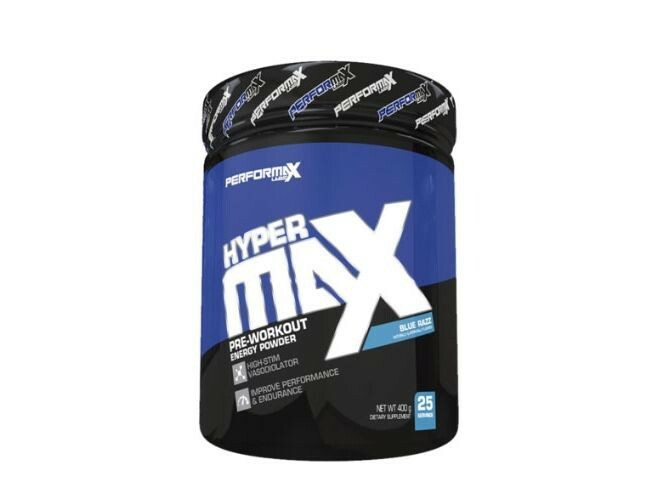 HyperMax ™ by Performax Labs is an extremely strong pre-workout which contains the strongest, but legal active ingredients. They contribute to the maximum concentration during training, delay the feeling of fatigue, provide an incredible increase in energy and a powerful muscle pump. Extreme Pumps and Performance is a mixture of active ingredients that through their action contribute to improve the performance of the body during physical exertion. In addition, they provide metabolism that promotes the sensation of a strong muscle pump during training. Citrulline and agmatine are active ingredients that contribute to the creation of an extremely powerful muscle pump. The first of these substances provides this effect by stimulating the synthesis of nitric oxide. The NO molecule, after getting inside the smooth muscle cell of the blood vessels, provides an increase in cGMP levels. This molecule determines a cascade of changes that induce the relaxation of vascular smooth muscle, which contributes to the widening of their light. This effect gives the feeling of tearing the muscle from the inside and allows you to maximize the amount of microdamage tissue during hard training. In addition, it improves the process of nutrition and oxygenation of the muscles, which allows to prolong the time of their effective work. The process of removing unnecessary metabolic products is also improved. Agmatine is a natural metabolite of arginine, which through its biological action improves the work of citrulline. This is due to the fact that agmatine regulates in a positive way the activity of nitric oxide synthase, which is responsible for the production of NO. In addition to pumping effect, citrulline along with ornithine takes part in the urea cycle, which is responsible for the neutralization and removal of unnecessary protein metabolism products, e.g. ammonia. The ornithine cycle neutralizes these compounds to urea, which is easily removed from the body. This effect allows you to effectively delay fatigue during long-term training units. Nitrogen compounds arise particularly intensely during physical exercise, which over time cause muscle disruption to work effectively. Increasing the level of citrulline and ornithine allows you to perform longer and harder workouts. A similar effect, but obtained with the help of other mechanisms, is conditioned by beta-alanine. This amino acid, after getting into the muscle tissue, is converted to carnosine, which thanks to its buffering properties allows to maintain a relatively constant pH. During the increased muscle metabolism, the concentration of hydrogen ions increases, which acidifying the environment degrade the effectiveness of energy transformations. Extreme Focus and Mood is a blend of plant extracts and substances that thanks to their action ensure high concentration, motivation and positive mood. The formula contains such compounds as: β-phenylethylamine hydrochloride, Hordeum Vulgare extract and Eria Jarensis, which in various ways provide a high level of catecholamines that switch the body to the state of "fight or run away". P-phenylethylamine hydrochloride and extract from Eria Jarensis contribute to the stimulation of noradrenaline and adrenaline secretion in the nervous system. The increase in the concentration of these hormones provides a stronger stimulation of the adrenergic system, which is associated with obtaining maximum concentration. In addition, β-phenylethylamine contributes to the release of β-endorphin, which imitates the feeling of people in love - a high level of happiness. However, the body always tries to bring about the state of homeostasis. As a result, it activates the processes responsible for the distribution of excess catecholamines. The Hordeum Vulgare extract, standardized for the active substance hordenine, may be responsible for the inhibition of this process. This compound belongs to the group of protoalkaloids and may affect the inhibition of catecholamine reuptake, which allows to obtain the maximum benefits associated with these neurotransmitters. Extreme Energy Blend is a set of ingredients that provide an incredibly strong increase in energy levels, which is associated with with the activation of adrenergic receptors. Thanks to this supplement allows you to perform a maximum of heavy training units, even with demanding training regimes. 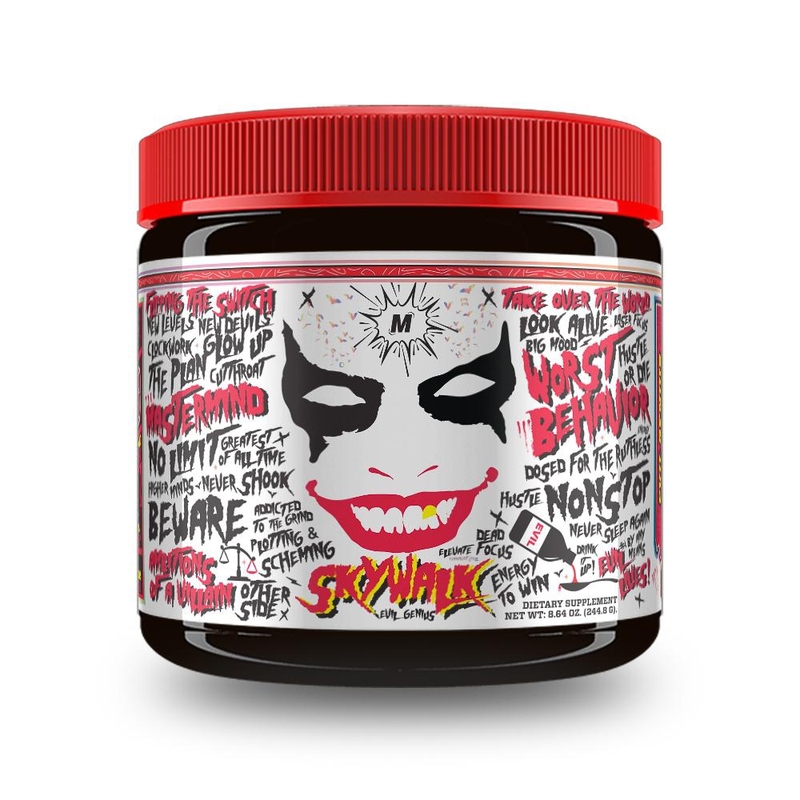 This formula is a mixture of tyrosine, caffeine, Citrus Aurantium extract and rauwolscine. Caffeine contributes directly to increasing the level of catecholamines in the body. This effect is conditioned by its blocking effects on adenosine receptors and by inhibition of the COMT enzyme activity. Thanks to this, it eliminates the inhibitory effect of adenosine on the secretion of adrenocortical cortices and reduces their re-uptake. This contributes to an effective increase in the level of adrenaline, norepinephrine and dopamine in the body. Contained in the extract from bitter orange Citrus aurantium, synephrine is a plant alkaloid that activates β-adrenergic receptors in the same way as adrenaline. This contributes to the stimulation of the sympathetic nervous system, which increases the pulse, blood pressure, bronchodilator, narrows the blood vessels of the digestive system and causes an increase in the level of sugar in the blood. These effects ensure maximum stimulation of the organism and temporarily silence the processes unnecessary for the body during the "fight or flight" state. Rauwolcine is a derivative of yohimbine - an alkaloid that is derived from the plant Rauwolfia Vomitoria. Rauwolscin has a selective blocking effect on α2-adrenergic receptors, thanks to which it provides a strong psychophysical stimulation of the body. Absorption Enhancement is an advanced formula that effectively supports digestion and absorption of nutrients, thereby increasing the effectiveness of the preparation. It consists of black pepper extract standardized for 95% piperine, thanks to which the formula allows for the maximum use of nutrients and other ingredients of the preparation. In conclusion, the HyperMax diet supplement from Performax Labs is an advanced pre-workout formula that combines the strongest active ingredients that ensure a strong increase in the training performance of the body. They allow you to achieve maximum concentration and muscle pump during training. In addition, the preparation contains a blend that contributes to delaying the build-up of tiredness during training, thanks to which the supplement is recommended mainly to advanced gym goers. 1 servings 15 minutes before training.